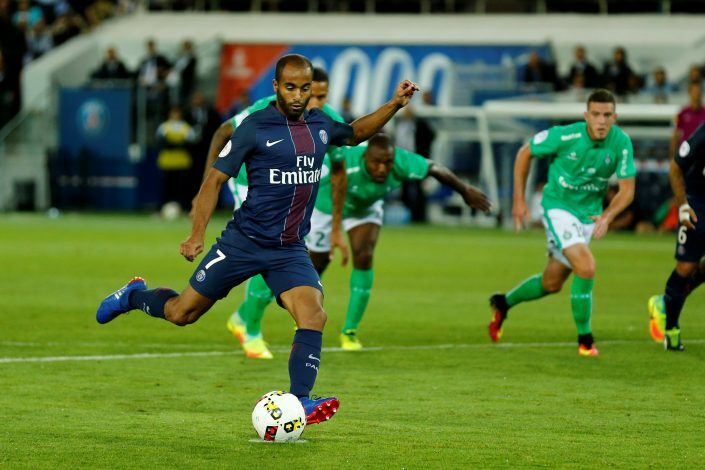 According to Lucas Moura’s agent, the PSG winger is wanted by English giants Manchester United. Lucas joined Brazilian club Sao Paolo’s academy in 2005. He made his debut with the São Paulo first-team in 2010, scoring 4 goals and providing 4 assists in 25 appearances. In 2011, Lucas scored 9 goals and provided 4 assists in 28 appearances in the Campeonato Brasileiro, and 13 goals and 8 assists in all competitions. This made him known to the world as one of the hottest prospects, and back in Brazil, he was also dubbed as ‘the next Neymar’. During the summer of 2012, both Manchester United and PSG were reported to be interested in signing Lucas. But the French Giants won the battle, and announced the player would be moving to the club in January 2013. The transfer fee was reported to be in the region of €45 million, which made him PSG’s most expensive signing. The then Manchester United manager Sir Alex Ferguson was visibly irritated with the young Brazilian’s choice. And now, according to Lucas’ agent Wagner Ribeiro, Manchester United are yet again interested in signing the Brazilian. He revealed that United manager José Mourinho wanted to sign Lucas even when he was at Real Madrid. The question that remains is where will Lucas play, as Wayne Rooney, Juan Mata, Henrikh Mkhitaryan and Jesse Lingard will all be competing for his preferred position.